The Sludgelord has just lit up “Bong Witch,” the new hit from Baltimore, Maryland fantasy metal/stoner outfit HAZE MAGE, and their impending debut full-length, Chronicles. The album will see release through Grimoire Records on the eve of 4/20 in conjunction with this year’s installment of Grim Reefer Fest which the band books annually in their hometown. 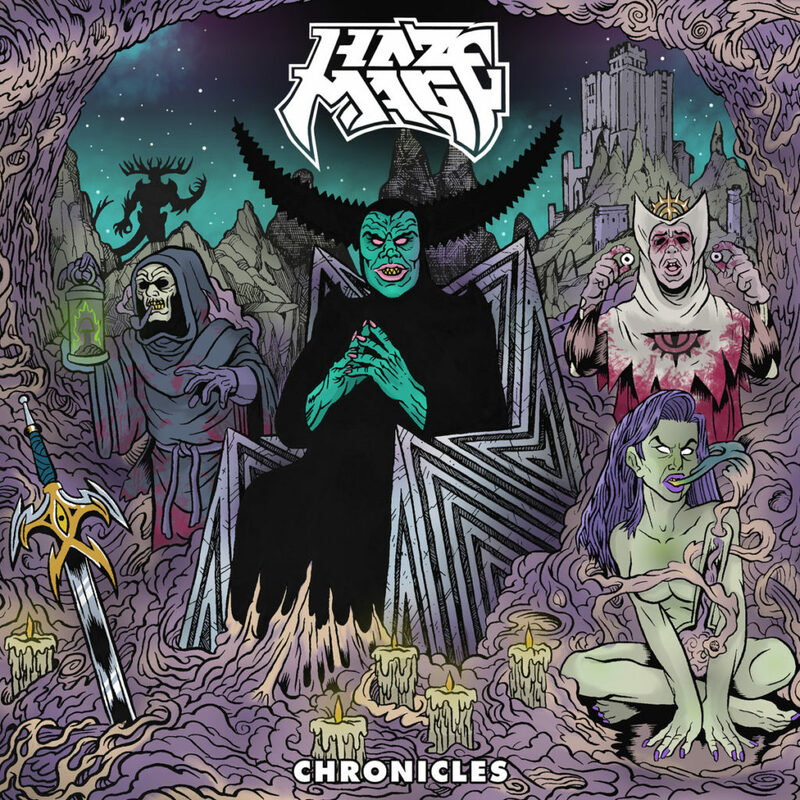 HAZE MAGE’s first album, Chronicles is an expansion of the fantasy world created in their debut EP. The album and its concept have been in development since 2017 as part of an even broader narrative yet to come. Each song introduces a new character or piece of lore for the listening adventurers to encounter. Chronicles was recorded, mixed, and mastered between fall 2018 and winter 2019 by Grimoire Records’ co-founder and audio engineer Noel Mueller. The artwork was created by John De Campos/Ghost Bat Illustration with additional layout work by Noel Mueller, with photography by Shane Gardner. Take a puff of HAZE MAGE’s “Bong Witch” at The Sludgelord RIGHT HERE. Chronicles will see release on limited edition CD and digital download via Grimoire Records next Friday, April 19th. Find preorders where “Fire Wizards” is streaming HERE. HAZE MAGE has also booked the new installment of Grim Reefer Fest at the Ottobar in Baltimore, appropriately scheduled for 4/20 in conjunction with the release of the Chronicles album. In addition to HAZE MAGE, the event will feature sets from Ruby The Hatchet, Heavy Temple, Horseburner, Mountainwolf, Book Of Wyrms, Tombtoker, labelmates Yatra, and more. Watch for additional tour dates to be announced in the weeks ahead. 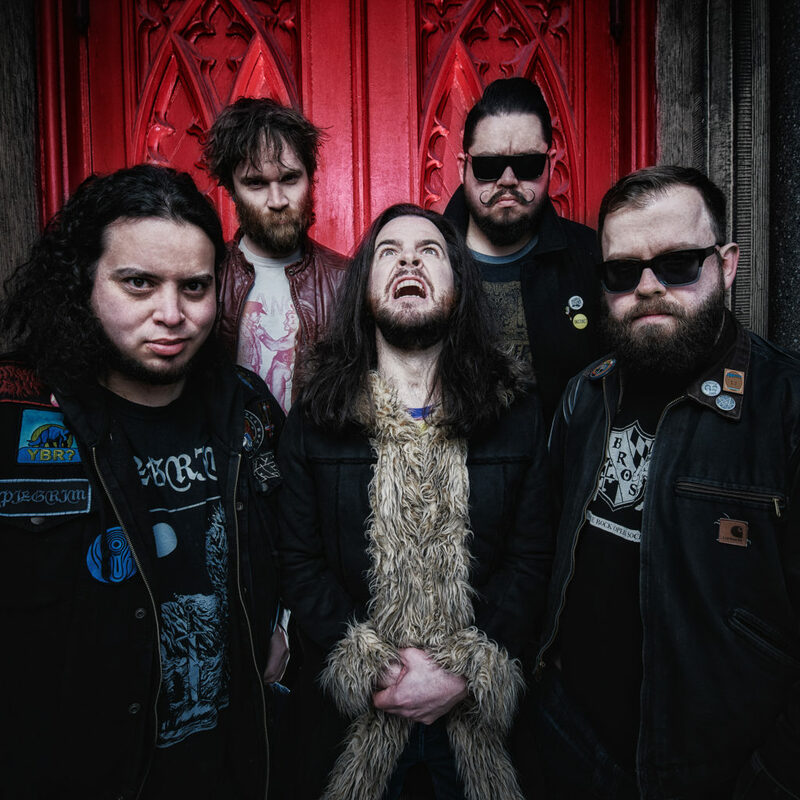 Having quickly gained attention in the Baltimore metal scene thanks to their exuberant and thundering stage shows, HAZE MAGE first caught the ear of local label and friends, Grimoire Records, in the summer of 2016. In 2017, Grimoire recorded and released the band’s Blood Mist debut EP to critical praise from outlets such as The Obelisk, Worldwide Underground, and Heavy Planet, who found it “…bold, psychedelic, and memorable.” The band has performed at a number of notable annual events including Artscape, Days Of Darkness Festival, Shadow Woods Metal Fest, and Light City, and has maintained a presence in the Baltimore metal scene at clubs such as Metro Gallery, The Ottobar, Rams Head, and Soundstage.